Happy Halodays, everyone! 'Twas the Thursday before Xmas and all through 343, the only motion on the tracker is a few folks and me! We've got just a few tiny morsels today in what's ostensibly the final Halo Community Update of 2016. Grab your eggnog, get cozy by the fire and let's jump in. The holidays are upon us which means family, friends, fun and for many - GIFTS! 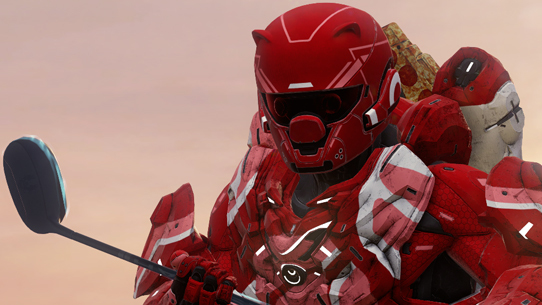 If you've been playing Halo 5 since last December you already know about the in-game gift that comes in the form of adorable Spartan Claus and Candy Cane emblems. If you didn't get this last year, don't fret - it's back again starting today! If you do happen to already have these emblems then you'll instead find yourself the recipient of bonus RP or other assorted gifts. And speaking of gifts, it's a great time to send a Gold Gift Pack to someone special. Happy Halodays! It feels like we've just barely caught our breath after an incredible NA Finals and yet we're already diving right into what looks to be an even more awesome season for competitive Halo in the coming year. The 343 team has been working hard behind the scenes the past few weeks to update settings for the 2017 Halo World Championship, taking into account community feedback and extensive feedback from pro players. You can check out the full details on the latest map and weapon changes as well as read more on the future of the Motion Tracker in competitive Halo in this detailed Waypoint article. Better yet, hop into the recently-updated Team Arena Winter Preview playlist and try out these new changes firsthand! As we look ahead to another great year, I'd like to extend a huge thank you on behalf of the entire 343 HCS team to everyone who has played, watched and supported competitive Halo through 2016. We truly couldn't have done it without you and thanks to your support and feedback 2017 is shaping up to be bigger and better in every way! As a small token of appreciation to everyone who joined us in-person, we're happy to announce that the long-awaited "HCS Live Event Pack" is finally rolling out to Halo 5 players who attended a HCS event in 2016. Join us at an HCS 2017 event and add this exclusive Legendary emblem to your collection! Don't forget that the road to HaloWC 2017 kicks off in less than a month with the NA HaloWC 2017 Qualifier: St. Louis on Jan. 20-22. Get full details, including purchasing FFA and Team passes, HERE. Most of the 343 team may be gone for the holidays but that doesn't mean you can't still enjoy some Mythic Firefight weekend action! This weekend's playlist will go live on Dec. 23 and takes place on Temple (Assault on Sanctum). Round up your friends, stock up your REQs and prepare to do battle but don't delay, like Santa this playlist will vanish on Dec. 26. For the weekend of Dec. 31 you'll suit up and engage in Mythic Firefight adventures on Meridian (Darkstar). Happy hunting, Spartans. This week marks the long-awaited release of the early-access Halo Wars: Definitive Edition (on Xbox One and Windows 10) for folks who've pre-ordered the digital version of Halo Wars 2: Ultimate Edition (whew that's a lot of editions!). Check out Dan Ayoub's blog post from Dec. 20th for the latest details and information about this special program. As a special note I'd just like to acknowledge and apologize for frustrations felt by many players over the system being used to distribute codes in "waves" for access to your copy of Halo Wars: Definitive Edition. We realize this hasn't been the best experience - from distribution to the meaning of "early access" messaging - and regret the confusion and disappointment this has caused some members of the community. The 343 team has worked hard to move up the date for Halo Wars: DE as a special early access bonus for fans who've pre-ordered Halo Wars 2: Ultimate Edition but regretably the fulfillment process has been less than ideal and with everything coming in so hot, particularly on the cusp of the holidays, finer details were late to materialize. We are continuing to work with partners to try and improve the fulfillment process and take your feedback to heart as we learn from this process going forward. If you are playing Halo Wars: Definitive Edition, please stop by our forums and let us know what you think as the team continues to wrap up the game between now and February. Again, we're talking about barely two weeks since the release of Monitor's Bounty and you crazy Forgers are doing some truly mind-blowing things. I can't wait to see what you come up with over the holiday break (and maybe play someone's sweet version of Wasp Racing!). A few weeks ago we kicked off a massive studio-wide Halo 5 tournament that split the team into three different skill-based brackets and put us all to the test to determine who would walk away with the title of champion and a sweet custom trophy. Sadly my own team lost immediately in the first round but what I was really looking forward to was the eventual grand finals in the "Spartan" (i.e. best) division to see which of the studio's elite players were truly the best. While my grand plans to try and live stream the finals didn't quite pan out, we thankfully have the next best thing - this handy video captured using Halo 5's "Observer Mode" that we merged with real-time casting by @Brav and @GH057ayame. Please note that this is far from an official HCS experience. In fact, I'm pretty sure some people in the studio are downright embarassed by this video but personally I think it's fun and who doesn't want to see the Grand Finals showdown between former Pro Team members StrongSide and Dersky? And with that, my friends, it's time I bid you farewell and ride off into the gray cloud-obscured sunset to enjoy some holiday time with family, friends and of course, plenty of Halo. Many of us will still have our ear to the ground but if we're slower to respond than usual or missing on Twitter or on forums for a spell, please know it's not because we don't care, just that we too are enjoying a small break for the holidays. Perhaps I'll see you online either in Halo 5 matchmaking, customs or even a game of Halo Wars: Definitive Edition. Go easy on me and maybe you'll find a Gold Gift Pack tucked into your stocking. I wish you and yours a safe and happy holiday season! Thank you for playing and supporting Halo and 343, Happy Halodays and Happy New Year! Welcome back one and all to the Halo Community Update for your latest dose of news and intel from deep within the walls of 343. 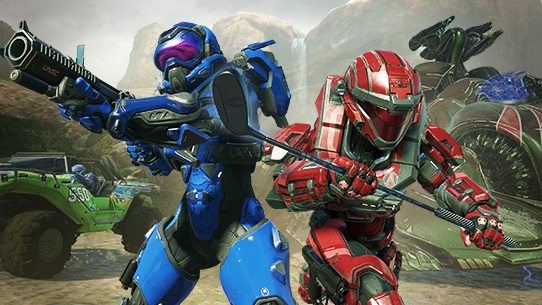 This week we've got a lot on tap including a look at post-Monitor's Bounty Forge goodness, an unsung hero and secret helmet, a Warzone update, a recap of recent HCS news, and more! 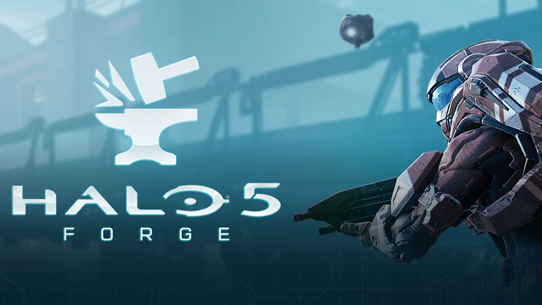 The "Monitor's Bounty" release for Halo 5 delivers the biggest update ever to Forge with over 650 new objects, 2 new canvases, and a greatly expanded scripting system including the introduction of "mini games" such as "Race", "King of the Hill" and "Battle Golf." Build and play, bigger and better than ever, on Xbox One and Windows 10.